Edinburgh, Scotland, UK; 3 August, 2018. 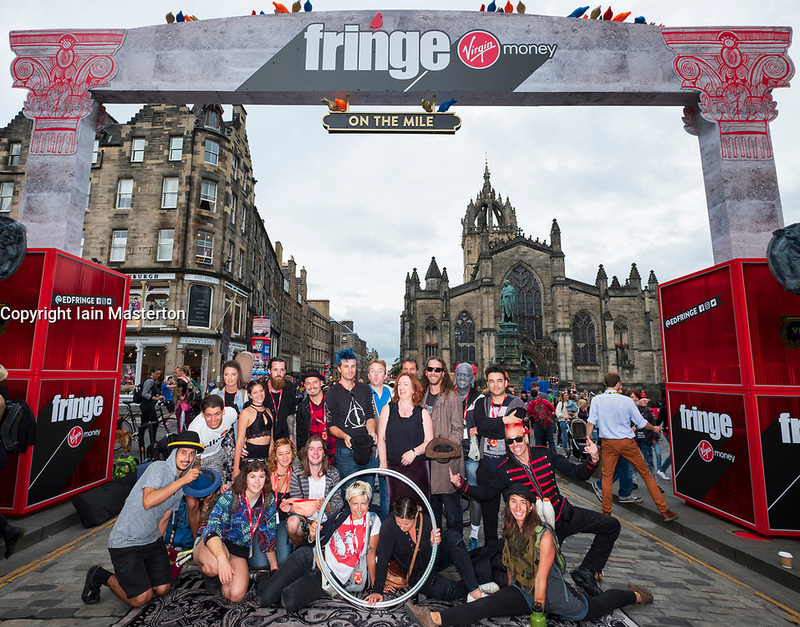 Official Opening of the new Virgin Money Fringe Street Events on the Royal Mile in Edinburgh. Performers and Shona McCarthy Chief Executive of the Edinburgh Fringe Society gather to cut the red ribbon and open this year's Fringe Festival.